Sandy Lake, Manitoba grain elevator, Oct 2006. Copyright by Gary Rich. 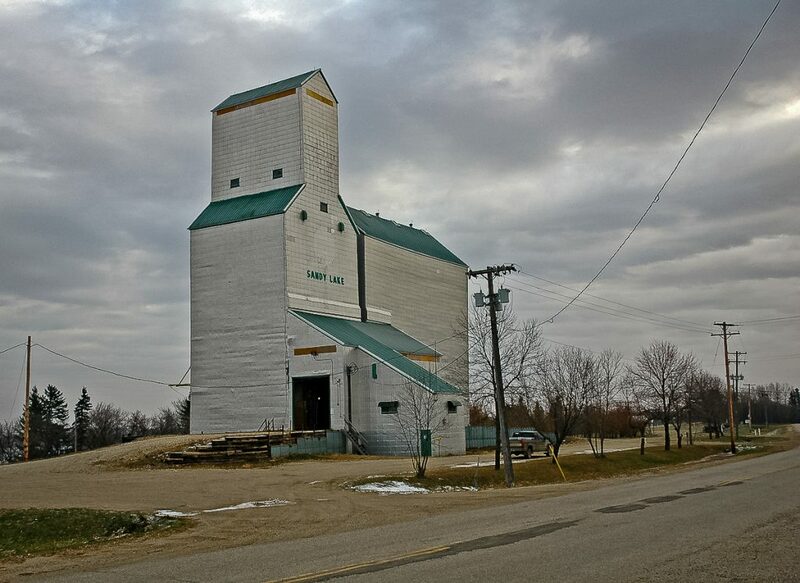 The Sandy Lake grain elevator is a former Manitoba Pool grain elevator located in the resort town of Sandy Lake. 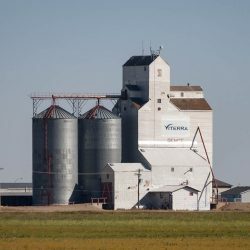 This elevator was purchased by Lewandoski Farms in 1996. 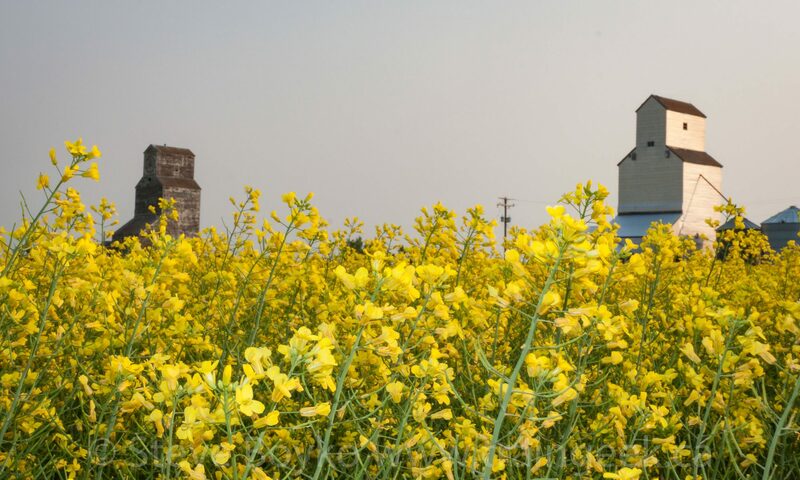 The first grain elevator was built in Sandy Lake in 1911. 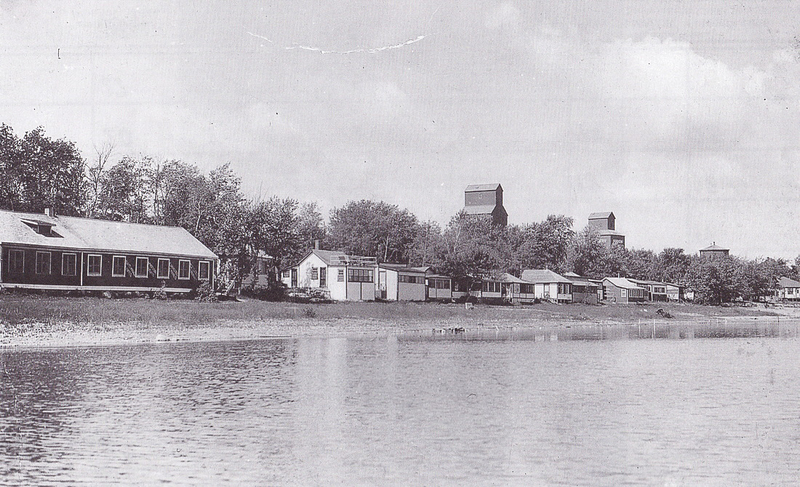 Grain elevators in Sandy Lake, MB, date unknown. The CN Rossburn subdivision used to pass through the town, until it was abandoned in 1996. 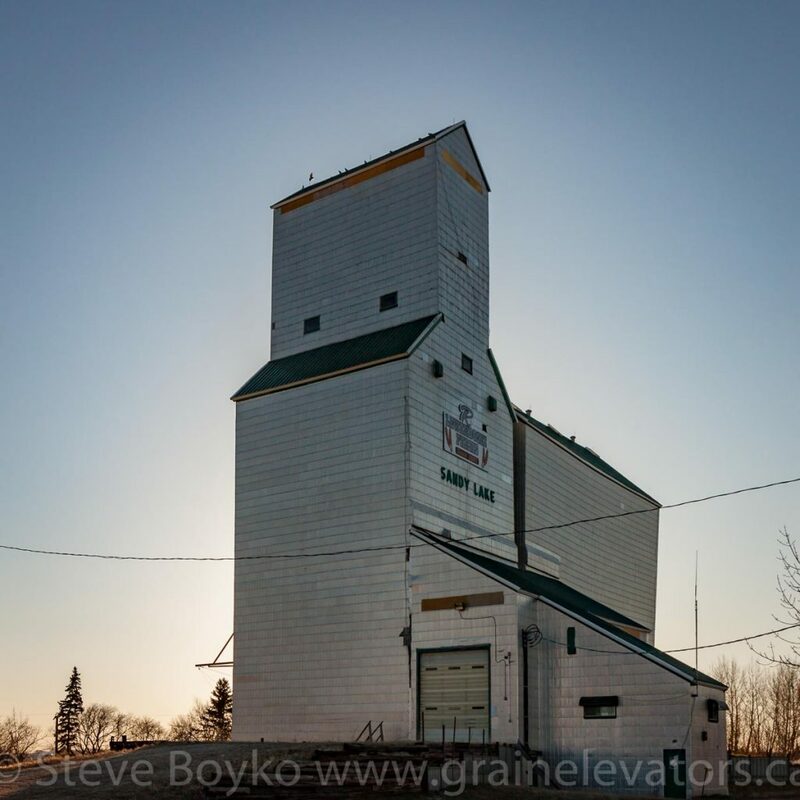 Grain elevator in Sandy Lake, MB, Apr 2016. Contributed by Steve Boyko. 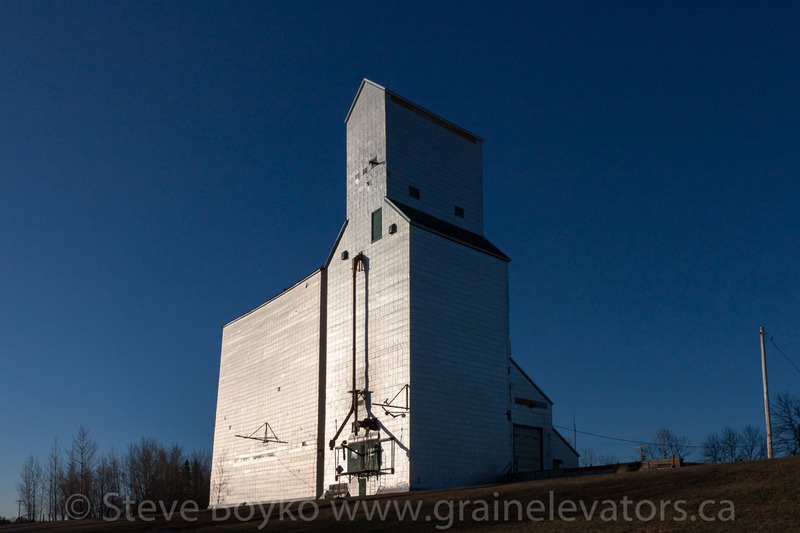 I recorded a little walk around the grain elevator one Saturday morning. Sandy Lake is a lovely town. The Sandy Lake Ukrainian Cultural Heritage Museum is located across the street from the elevator.